So there I was, on my lunch break minding my own business… And then the email from MAC announcing the arrival of the Brooke Shields collection came through- I don’t think I’ve ever moved so fast! First of all the packaging is absolutely gorgeous. Most collections usually keep the original MAC shape but change the colour of the packaging. But not for Miss Shields! The collection is matte grey and orange and very angular-not a MAC curve in sight! It looks very chic-like the lady herself. Now for the collection. There is a selection of eyeshadows, brow products, lipsticks, creme colour bases, nail polishes, lip glosses and a bronzer available in this collection. All are very beautiful burgundy, orange and brown tones that reflect Brooke’s chic style. 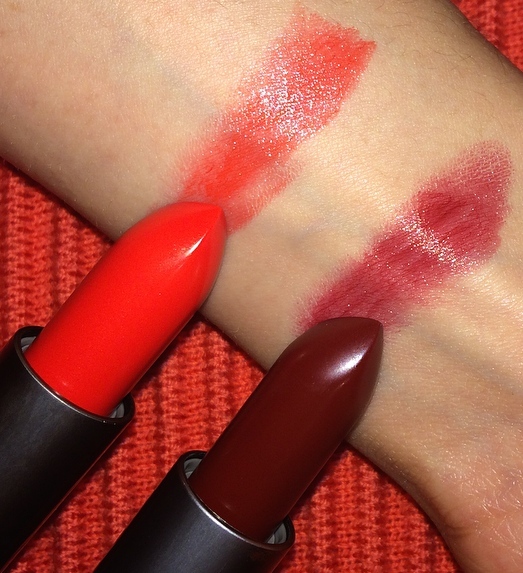 Being an absolute lipstick addict, of course I was instantly drawn to the two in this collection. First up we have the lipstick in ‘Excite’. And boy is it exciting! 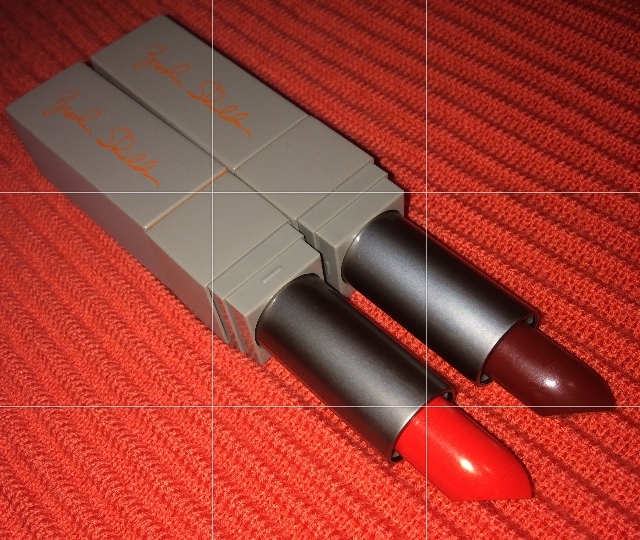 This cremesheen finish lipstick is described as a ‘bright orange red’. I would say it’s definitely more orange than red though. It glides on like a dream and the creamy finish leaves a moisturised sheen to the lips. Have I finally found my perfect orange lip companion? I think so! Next up is the second lipstick offering called ‘Gospel’. This is a rich burgundy colour with a Lustre finish. I have been on the lookout for a good burgundy colour for Autumn (or Fall as you would say across the pond) and I have finally found it! I’m pretty sure that I am going to have this on my lips for the foreseeable future and you will have to stage an intervention to get me to change it… It really is the perfect colour to transition into the colder months. So those were my two picks from the collection, although it was very hard to walk away from the wonderful offerings in all their grey-orange packaged glory. What caught your eye? You can get these beautiful lippies here.